This Quick Start Guide is a brief overview of how to form an LLC in Georgia. A Georgia Limited Liability Company (LLC) is a legal structure formed to protect your personal assets (home, car, bank account) in the event your business is sued. A Georgia LLC can be used to operate a business, or an LLC can be used to acquire and hold assets (such as real estate, vehicles, boats, or aircraft). If you’d like to form an LLC in Georgia yourself, follow our Quick Start Guide below (the brief overview), or click the detailed lessons above. • The 1st thing to do when starting a Georgia LLC is to make sure your desired name LLC is unique and available for use. • Your LLC name needs to be “distinguishable upon the record” (unique) among all the existing businesses registered in the state of Georgia. • Tip: Under Georgia law, your LLC can’t exceed 80 characters (including spaces and punctuation). 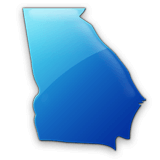 • All LLCs in Georgia need to designate a Registered Agent. A Registered Agent is a person (or company) that agrees to receive Service of Process (a fancy word for legal mail) in the event your LLC gets sued. • The address that a Registered Agent uses must be a street address located in Georgia. The state does not allow for the use of PO Boxes. If your Registered Agent will be a person, that person must be a resident of Georgia. • Who can be your LLC’s Registered Agent in Georgia? • Commercial Registered Agents in Georgia: We recommend hiring Northwest Registered Agent (for $125/year). Northwest has been in the business for over 20 years and they have great customer service. Any mail that is sent to your LLC will be scanned by them and uploaded to your online account. Special offer: If you hire Northwest to form your Georgia LLC ($39 + state fee), they’ll include their registered agent services free for the 1st year. • Filing methods: by mail or online. We recommend filing online as it’s easier and the approval time is faster. • Important: If filing by mail, you must send 2 copies of the Articles of Organization. Only 1 copy of the Transmittal Form is needed though. Disregard this if you are filing online. • Georgia LLC approval times: 12-15 business days (by mail), or 7 business days (online filing). • What you get back: a receipt, a stamped and approved copy of your Articles of Organization, and a Certificate of Organization (which has a state seal and can be used when opening a bank account). – If you file by mail, these documents are returned by mail. – If you file online, these documents are returned by email. • Expedited filing: faster processing times are available for both filing by mail and filing online. – 2 options for online expediting: $100 extra for 2-day processing or $250 extra for same-day processing. – 1 option for mail expediting: $100 extra for 2-day processing. Tip: no expedited form is needed. Just include the extra amount in check or money order. • Your Georgia LLC will need to draft an Operating Agreement. The document is kept “internally”, meaning, you don’t need to send it to the Georgia Corporations Division, or any other agency. You’ll just keep it with your corporate records at your home or office address. • An LLC Operating Agreement is essentially an agreement between the owners (called “members”) of an LLC. It spells out who owns the business, how much each person owns, how profits are split, how taxes are paid, and more. • Even if your LLC has 1 member (called a single-member LLC), it’s still best practice to have an Operating Agreement. This helps keep the liability protection granted by the LLC. • A Federal Tax ID Number (also known as an EIN) is like a “social security number” for your LLC. The EIN is issued by the IRS and it helps identify your company for reporting and tax purposes. • EINs are also used for opening business bank accounts and handling employee payroll (if applicable). • Common names: An EIN is also called: Federal Tax Number, Federal Employer Number, FEIN, Federal Tax ID Number, EIN, and Employer Identification Number. They are all referring to the same thing. • Get LLC approval first: You should only apply for an EIN after your LLC is approved by the state of Georgia. • Cost: EINs are $0. Yup, they are free from the IRS. They can be obtained in 1 of 3 ways: by mail (using Form SS-4), by fax (the number is 855-641-6935), or via the online application (the fastest and preferred method). • Non-US resident/no SSN: if you are not a US citizen or you don’t have an SSN (social security number), you can still get an EIN from the IRS. You just can’t get it via the online application. Instead, you’ll need to mail or fax (we recommend faxing) Form SS-4 to the IRS and enter “Foreign” on line 7b. • LLC owned by an existing company: If your LLC is owned by another company or another LLC, you cannot obtain an EIN online (the system will give you a weird error message). Instead, you’ll need to mail or fax Form SS-4 to the IRS. We recommend faxing as the approval time is much faster (days vs weeks). • All LLCs in Georgia must regularly file an Annual Report (called “Annual Registration“). This is due every year, regardless of income or activity in the business. • The first Annual Registration is due between January 1st and April 1st of the year after your LLC’s year of formation. Following payments are due between January 1st and April 1st every year. We recommend filing as early as possible to avoid any penalties or fines. • Annual Registration Fee: $50 per year. • Online filing: Although the Georgia LLC Annual Registration fee can be filed online or by mail, the state prefers online fillings as they are faster and more convenient. • Penalty: there is a $25 late fee if you submit the Annual Registration Fee after April 1st. And continually ignoring this requirement is a bad idea. The state will soon administratively dissolve (shut down) your LLC. • What you’ll get back: Once you successfully make payment and submit your report online, you’ll be able to download a receipt in the eCorp dashboard. You will also receive an email from the state with your receipt. • The business licenses and/or permits your Georgia LLC needs will depend on its location and the industry it is engaged in. To know more about these requirements, contact the city, town or county where your LLC is located and the government agencies that regulate your LLC’s industry. • Need to save time? If you don’t want to make the calls and determine your licensing requirements, we recommend using IncFile. • Federal taxes: LLCs in Georgia (and all states for that matter) have “pass through” taxation, meaning the income/losses from the LLC will be listed on a Schedule C, which is a part of your personal tax return (Form 1040) filed with the IRS. • Georgia State and local taxes: After your LLC is formed, you should register with the Georgia Department of Revenue (DOR). You will also likely need to register your LLC for tax purposes with your local municipality (county, city, town, etc.). • Recommendation: we recommend speaking with a few accounts in Georgia after your LLC is formed. Check out our how to find an accountant guide or you can use Thumbtack. • Keep your LLC’s liability protection: After your LLC is formed in Georgia, you’ll want to open a separate business checking account (in the name of the LLC). • Items needed to open an account: Bring your Certificate of Organization, EIN Confirmation from the IRS, and your Driver’s License or passport. Some banks require 2 forms of ID, so call ahead of time and double-check. • Benefits: Keeping your business finances separate from your personal finances is important for 2 reasons: First, it helps you avoid “commingling of assets”, which ensures your personal liability protection. And second, it’ll make keeping track of finances a lot easier for accounting and tax purposes. • Shop around (there are free accounts): Call a few banks in Georgia and take notes. A lot of banks charge monthly maintenance fees for LLC checking accounts, but there are a handful that do not. • Debit card: The bank will issue a debit card for your LLC, usually on-location, after the account is opened. • Credit card: If you want to start building business credit for your Georgia LLC, it’s best practice to get one (or a few) credit cards in the name of the LLC. We recommend using www.creditcards.com to find business credit cards. You’ll also be able to get “reimbursed” for business expenses via cashback or travel rewards. Instead of using your home telephone number or your cell phone, you can purchase an affordable “virtual business number” specifically for your Georgia LLC. You can set this virtual business phone up to forward to your cell phone, go through voice prompts, or configure it any way you’d like. Getting a separate business phone number for your Georgia LLC is also a good idea in order to keep your actual number private from those pesky “public record” websites. This is some Great information. Step by step, what to do next. Thank you so much. This was very helpful. Have an awesome day. AJ, really appreciate the comment. Thank you for the kind words and we’re glad you found it helpful! You too! Great info !! Thank you very much, I think I’d rather just hire you to do it though. Thank you for this information. You save me $600.00. My husband and I are facing a major layoff and looking into a small business opportunity. This information was very helpful and answered a lot of my questions. Very helpful information. Thanks a lot! Thank you so much this information was VERY useful, short, sweet and to the point. I am going to put it to use in the very near future. Thank you so much. This information is great! Thank you so much! Quick question, I was going to rent an office space under my LLC. But should I rent an office first so I can have a commercial address to put on my LLC application? Hey Raymond, apologies for the slow reply. You’re very welcome! Glad we could be helpful. If the only purpose of renting the office space is for the LLC, then that’s unnecessary. Check out our Georgia Registered Agent lesson for more information. However, if you will actually need the office space, and the lease will likely be signed, then you could use the address before you “move in”. Hope that helps! I do online business , do I need a county business license ? do you mean seller permit ? Hi Jet, likely not, but you’ll want to get in touch with the county and/or city where you do business. Thank you. Awesome information… your really have taken the pain out of this process, and it is truly appreciated. You’re very welcome Robert. Thank you for the nice comment! Thanks so much for this. It saved me a lot of money and not only let me know step by step what needs to be done, but you made it a breeze to fill out all the forms and kept me from 2nd guessing or struggling to find what answer they were looking for or what something meant, but it explained everything so I went from not having a clue to understanding it all, and what I need to do next. Hey Michele, thanks so much for your awesome comment! This is exactly what we aim to do. Include clear instructions and address any questions as they arise. Best wishes with your business! You’re welcome Rashid! I don’t fully understand your question. Can you rephrase? Also, check out the Georgia LLC EIN page. We updated it with new info. Hope that helps. What’s the best State to form an LLC and why? Hi Gail, usually it’s best to form your LLC in the state where you’re doing business. For most, that’s their home state. However, we’ve gone into far more details on this page: Best state to form an LLC. Hope that helps! Finally a site with helpful and clear step by step information! Thank you!! Applied for an LLC as I read this, thank you for making this user friendly! I applied for a DBA as a sole proprietor, which has not been fully processed yet. Will I run into problems now that I have filed an LLC but still have a DBA under a sole prop? The DBA name and LLC names are the same. Hi Nicolette, you’re very welcome! I would cancel the DBA name with your County Clerk. If you call their office, they’ll explain the steps. Hope that helps!